Pearson VUE delivers millions of high-stakes tests a year across the globe for clients in the licensure, certification, academic admissions, regulatory, and government testing service markets. It boasts a large test center network, utilizing a patent-winning design, which was created specifically for high-stakes testing and offers a carefully controlled, consistent testing environment. AKTINA is a Pearson VUE Authorized Test Center (PVTC) Select providing on-site, on-demand testing for certification exams both in Nicosia and Limassol. We offer candidates full-service training and testing solutions in convenient, on-site testing. Pearson Vue tests offered by AKTINA comprise Microsoft, Oracle, Cisco, Hewlett-Packard, VMware and many other vendors’ exams. By passing a software vendor’s exam a candidate obtains a concrete validation that he has achieved a minimum level of knowledge and skills. Please click here for a pdf version . Please see Stratos Panayides’s presentation in the 5th ICT Summit & Exhibition. The presentation demonstrated why IT Pros & Developers should be certified and which certifications are in high-demand in Cyprus and abroad. 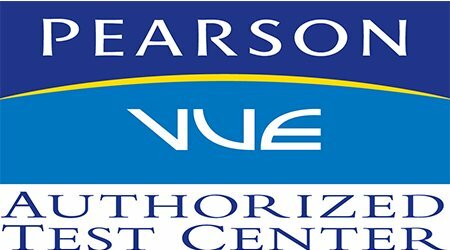 To register for a Pearson VUE exam, you may do so via https://home.pearsonvue.com/test-taker.aspx. Testing takes place at the AKTINA training & testing centers situated in Nicosia (20 Loukis Akritas street, 1st floor, 2064 Strovolos, Lefkosia) and Limassol (22 Griva Digeni, 1st floor, 3106 Agios Nikolaos, Lemesos). For a detailed site-map see Contact. AKTINA also offers tests as a Certiport Authorized Testing Center. AKTINA provides Microsoft Office Specialist, Adobe and other vendor exams offered via Certiport. For more details please click Certiport Testing.